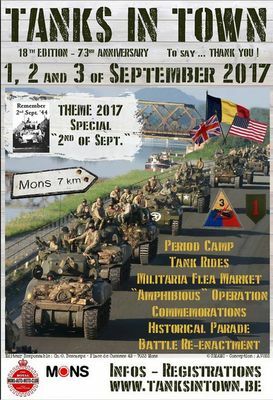 To commemorate the liberation of the city in 1944 by the 83rd Reconnaissance Battalion of the 3rd U.S. Armoured Division, TANKS IN TOWN, in co-operation with the city of Mons and the Ministry of Defence, organises a great rally of vintage armoured vehicles every year: SHERMANS, CHAFFEES, PERSHINGS, TANK DESTROYERS, HALF TRACKS and other armoured vehicles, but also trucks, jeeps and many others will peacefully invade the historic centre of the city of Mons. 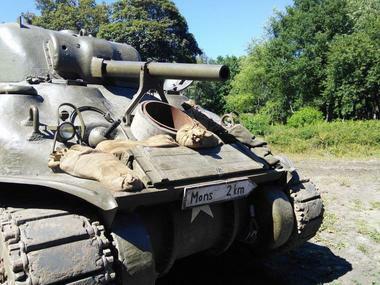 Iconic "Post War" vehicles are also presented to the public such as the Leopard tank. 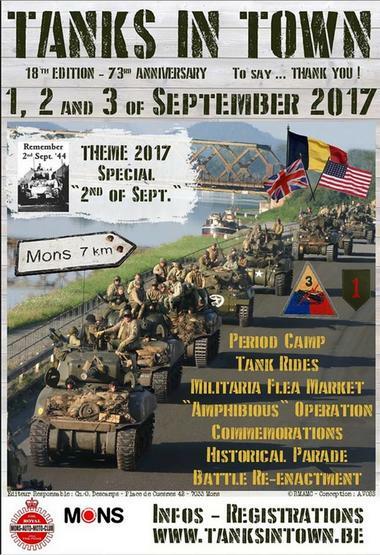 An exceptional event of global proportions.. .a living Museum of vehicle collections!